The Ford Thunderbird started life as a lithe 2-seat sports car competing directly with the Chevy Corvette - but by 1967, by then in its 5th generation, it had morphed into a big block monster of a 2-door, and was being driven upmarket by sales of the super popular Ford Mustang. It was restyled in 1969 to include a prominent bird beak that was slightly de-emphasized by 1972 when this one broke free from the GIANT egg that all T-birds hatch from. 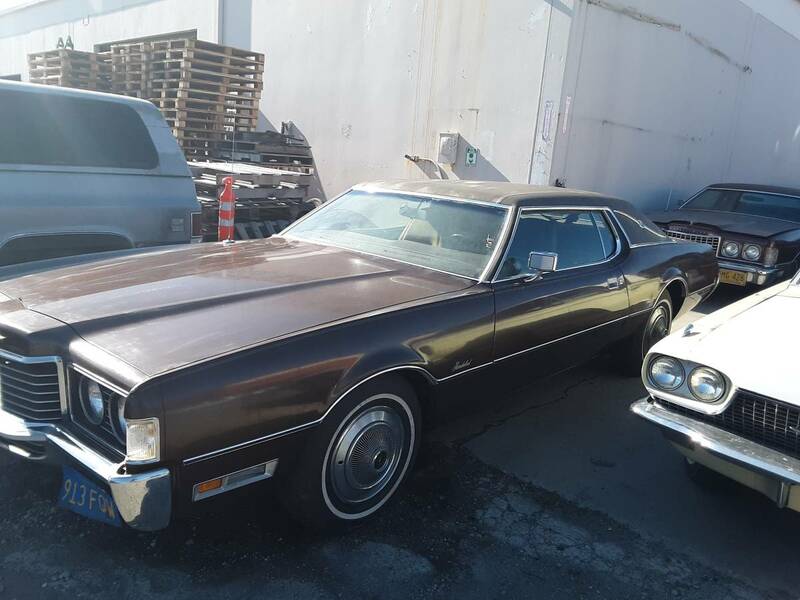 Find this 1972 Ford Thunderbird offered for $5,500 in SF Bay Area, CA via craigslist. Tip from FuelTruck. It was Sold New in California and Never Left !!! It had a set of Appliance Wire Type Aftermarket Wheels on it - but they had some surface rust on the Chrome so I sourced a set of Stock Ford Steel Rims and put some Good Used Tires on it along with a Set of Nice Original Correct 1972 Ford Thunderbird Hubcaps - I will throw in the Appliance Wheels with sale - you might want to spend some time polishing them up ??? All the Glass is in Excellent Condition all Windows Go up and Down and all Doors Open and Closed Beautifully !!! 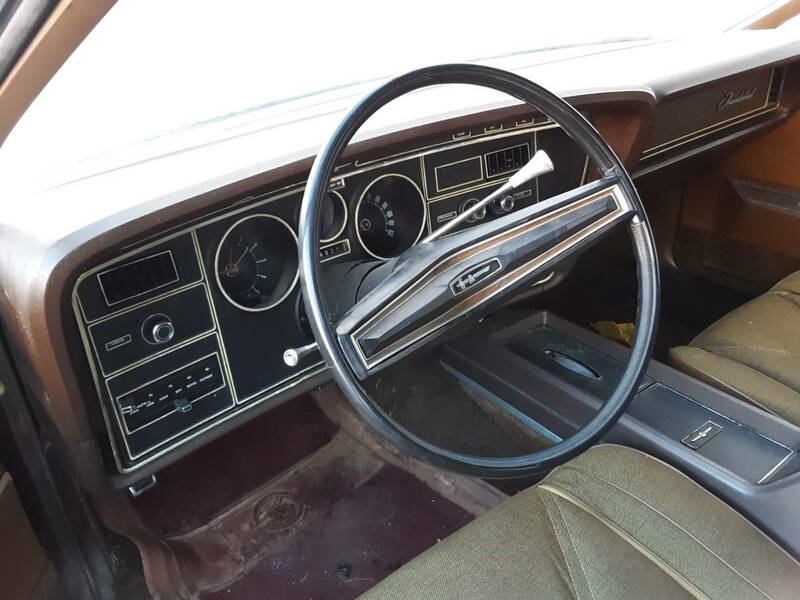 The Interior is like a time warp - Its in Amazing Condition and Everything Works !!! Note this Car will need to be Towed on a Trailer or Rollback as it is not registered - its is Stored in a Warehouse in San Leandro California - book in your pre-purchase inspection today - inspection strictly Business Hours Monday to Friday by appointment only - Call Matt show contact info with any Questions - I strongly suggest you look at any car For Sale on the Internet in Person before bidding - not just this Car - I mean Every Car !!! Note Car is Actually Located at a Professional International Car Shipping Business - They can Arrange Freight to Anywhere in the World - at Buyers Expense of Course !!!! "the GIANT egg that all T-birds hatch from"
And when the T-bird sales fell off they just started selling the unhatched eggs as Tauruses. his airbags went off and the front bumper cover was off its mount a tad. No major damage. 14k estimated to fix it so insurance totaled it. In the above car nothing would have happened. Maybe need a bumper straightening. When I first got into cars in the 80s a chrome bumper could be plated and straightened for $75. Cars are so disposable now. Much more safe but disposable. ...and no, it's not mine. 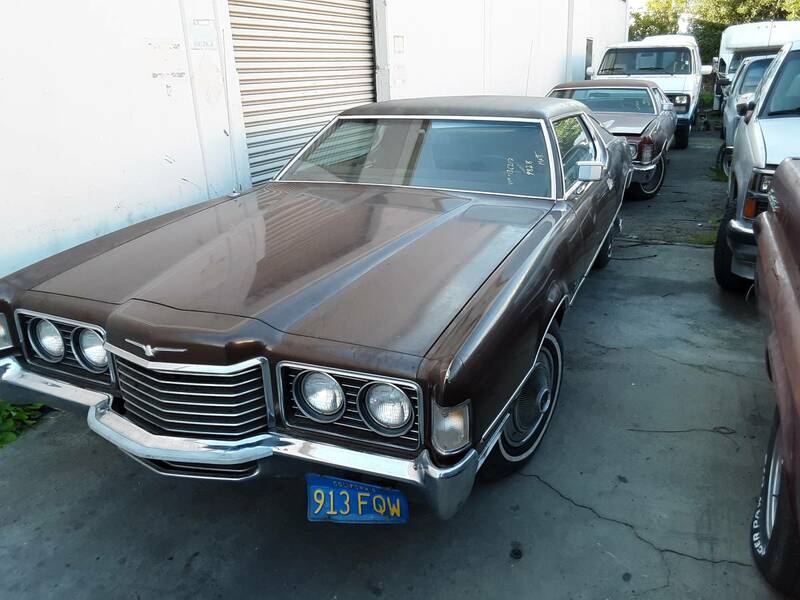 67-71 You could also get it in a 4 door with suicide rear doors. Almost looked at a 4 door with a 428 for $800. Although at the time I figured gas costs would kill me.